This is a very simple salad that takes only about 10 minutes to make once the quinoa is cooked. 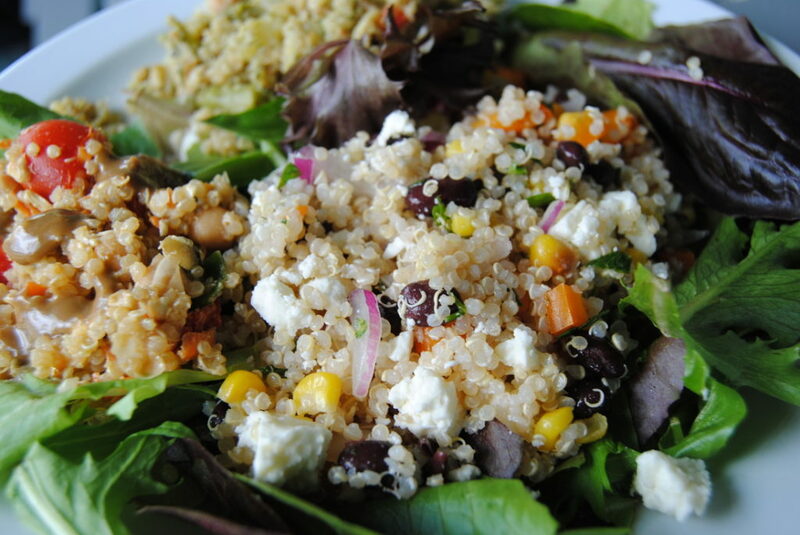 Quinoa is an excellent grain that is high in fibre, protein and minerals. It only takes 15 minutes to cook so make sure to have a batch in your fridge whenever you can. You can add it to soups, stews and salads for extra nutrients. This complex carbohydrate is a great way to stabilize your blood sugar naturally and prevent cravings later on in the day. This is a great example of a salad to take to work, bring on a picnic, or have as a side dish to a larger meal.